Don't want a unique meeting URL generated for each client? Do this. There are two categories of Web Conference Links that exist in Appointlet - Static and Dynamic. A static url will always be the same, no matter who books with you. A dynamic url will always be different, because it is generated on demand whenever someone books with you. Open your Members & Availability dashboard. Choose the member that you want to update. 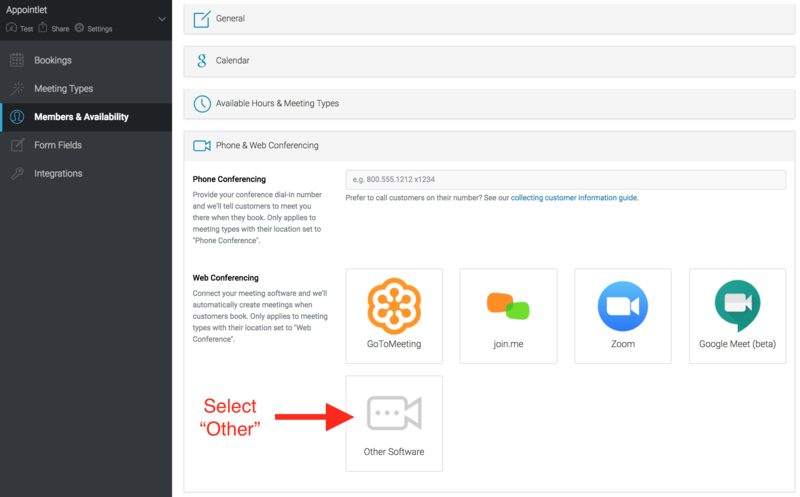 From the member profile, open Phone & Web Conferencing. Rather than selecting the icon of the service you're using, select Other Software. 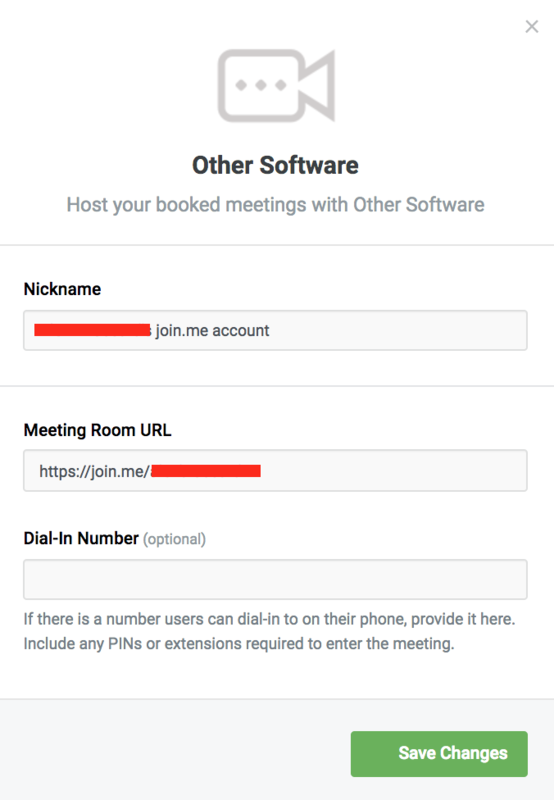 From here you can provide a static url in the Meeting Room URL field. Add a nickname to this configuration and click Save Changes to store it.